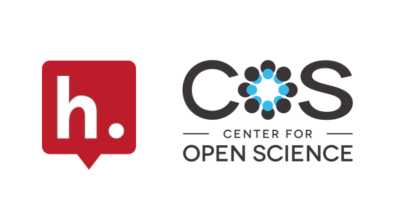 In Feb 2018, Hypothesis and the Center for Open Science (COS) announced their collaboration to bring open annotation to Open Science Framework (OSF) Preprints and the growing community of preprint servers hosted on OSF. Today, we are proud to announce that open annotation is now live, starting with OSF Preprints, SocArXiv, PsyArXiv, BITSS, EngrXiv, PaleorXiv, SportrXiv, Thesis Commons, MarXiv, INarXiv, NutriXiv, EarthArxiv, and the newest member of the community AfricArxiv. Annotation on preprints will increase transparency in scientific practices by enabling researchers to collaborate, discuss research with peers, and share additional information directly on preprints both before and after they are posted. The partnership builds on the foundations laid by the publication of web annotation as a standard by the W3C, the pioneering work by Hypothesis to build an open annotation infrastructure, and by COS to offer OSF, a comprehensive platform for open scientific research and publication. Annotations made on OSF preprint services will now be visible by default to anyone who views the content, removing the need to install or manage browser plugins. 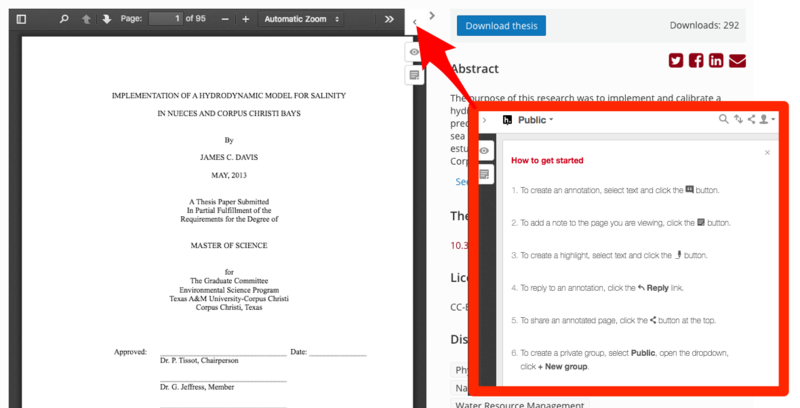 Once they set up a Hypothesis account, scholars can now read, create and reply to annotations and page notes through a simple interface directly over each preprint file itself. Readers will be able to make public annotations, private notes, or create collaboration groups. Annotations will be moderated by Hypothesis according to their community guidelines. Users who think an annotation needs possible moderation can flag it for review. Read more detailed guidance on annotating OSF preprints. This launch is one of the first public realizations of shared goals developed within a larger preprint community collaboration at gatherings like the 25 January 2018 summit convened by Hypothesis at the Sloan Foundation offices in New York City. There, representatives from many of the scholarly preprint services gathered to discuss potential benefits and considerations in bringing annotation to article preprints. While continuing to make annotation available on more preprint servers, this community plans to collaborate further to address a next set of issues tied to user identity, moderation, and versioning. Anyone interested in joining the ESSOAr community can contact essoar@essoar.org.